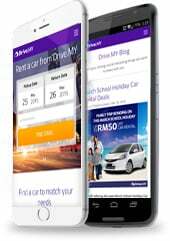 Loyal Tour and Rent A Car, our proud partner of Drive.MY! We are License Car Rental Company! Vehicles are well maintain at Original Manufacturer, do request to check our service manual log book upon vehicle pick up. Vehicles are with hire & drive permit. During pick up, our staff will show you the hire & drive permit. Vehicles require annual testing at The Government appointed service provided PUSPAKOM, do check it out upon vehicle pick up.